Brian Grover is a Changemaker because he channeled his lifelong passion for volunteering towards growing the DePaul Derby Days fraternity fundraiser, successfully raising over $35,000 on Givebutter in its fourth year for Chicago public schools. And he is just getting started. How did Brian Grover end up organizing a weeklong national fraternity event to raise over $35,000 for public school teachers in Chicago? It all started at home. Brian did not grow up a stranger to working for a good cause. While raising him in Cleveland, Ohio, Brian’s family made a point to volunteer together, working in animal shelters or volunteering as tutors. His mom even works full-time at a nonprofit, Hopewell Community. Suffice to say, he grew up surrounded by the attitude of paying it forward. But it was only after he began his freshman year at DePaul University that Brian took on what would grow into his largest charitable initiative yet: DePaul Derby Days. Founded his freshman year, DePaul Derby Days was designed to be the national event for Brian’s fraternity, Sigma Chi. National events for fraternities are large fundraisers that focus the energy of their members towards giving back to the community. Similar examples are Kappa Delta’s Shamrock events, or Sigma Phi Epsilon’s fundraising efforts during Sexual Assault Awareness Week. 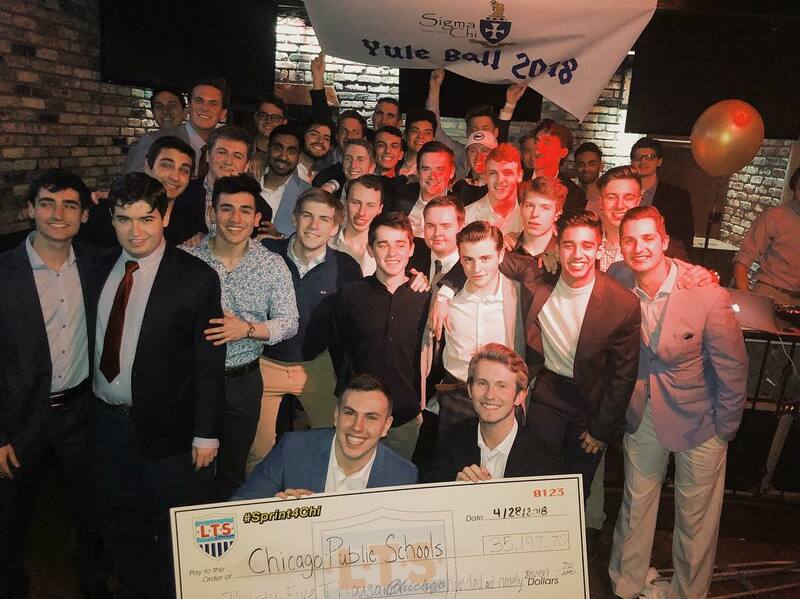 DePaul Derby Days had previously donated to the Huntsman Cancer Institute but this year decided to direct their funds towards Donors Choose, a site on which public school teachers can request donations for education projects they need funded. To keep the mission close to home, all of the funds went towards the projects of local teachers in Chicago. Brian’s creative touch was more than a fun theme, however. While in their first year Derby Days successfully raised over $6,000, he knew they were capable of a lot more. The only obstacle in his way was the size of the student body. Compared to larger schools, DePaul University only has seven sororities, whose groups are the targeted fundraisers for the event. Brian knew the smaller size of his school meant that the fundraiser needed a high percentage of engagement to reach the level of impact he wanted, but he didn’t let it daunt him. If theming the week generated additional enthusiasm, the large dance-off on Thursday which all sororities participated in and the final banquet on Saturday to celebrate everyone’s hard work only sealed the deal. By his senior year, Derby Days was bringing in over $36,000. 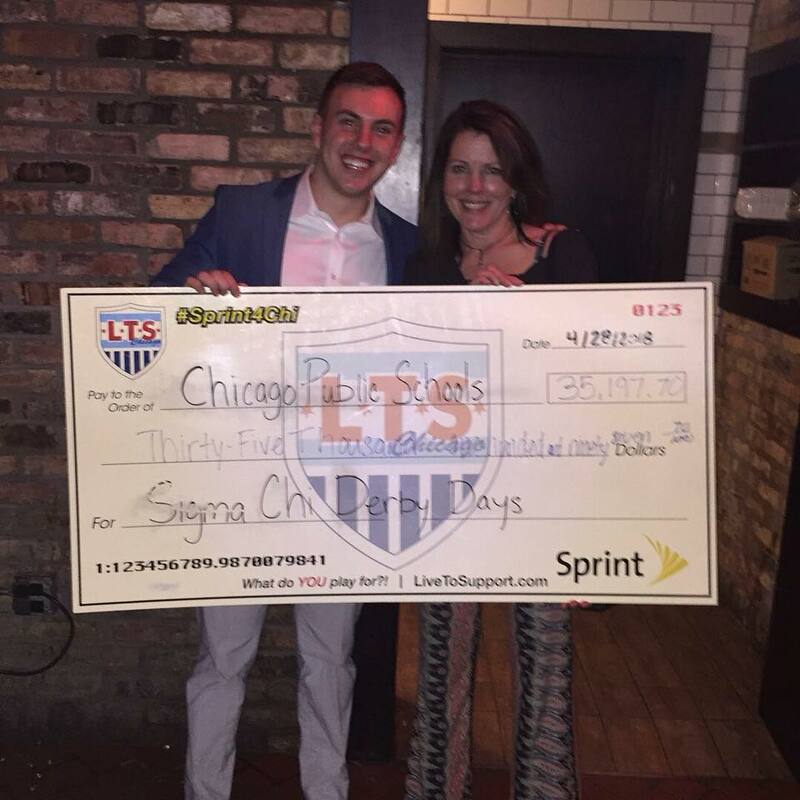 After distributing three $1,000 prizes to the top-performing sororities, Brian and his team were able to donate around $33,000 to Chicago public schools, funding over 90 teachers. Their proposed projects ranged from building soccer fields to providing meals and laptops. Brian is quick to credit the all-star fundraisers who helped them reach their goal. Two months before Derby Days even begun, his fraternity had already raised $10,000. That was when Brian set his goal at $35,000, though he didn’t tell anyone until they watched the final numbers roll in at $36,000 during the final night’s banquet. An event like this doesn’t come without a cost, however. His dedication is especially apparent in Derby Days' Social Media plan, which included planning posts throughout the entire week, posting multiple times a day, and electing Derby Days captains from each sorority who were responsible for representing the events on their own social media and posting on guest accounts. Particularly successful was a campaign for which each sorority designed their own Derby Days Crest, all of which were shared on Instagram. Whichever post got the most likes won a prize for their sorority. Over 100,000 interactions resulted from the campaign, all of which was direct publicity for Derby Days. The path that led Derby Days to become as large an event as it has was not a linear one for Brian. Just as Brian’s family had introduced him to volunteering at a young age, so did his brother help inspire him to continue his work with Derby Days. Brian isn’t finished paying his brother’s legacy forward. Down the road, he will be looking to obtain an MBA and additionally a degree in nonprofit management. Then, he wants to return to the work with Chicago public schools that Derby Days was able to support. Brian’s advice to anyone looking to start their own nonprofit or get involved with volunteering? Brian’s message has certainly touched us.  This post is dedicated to Jeremy Grover and his ongoing legacy of giving back. “If you can dream it, you can do it.” -- Walt Disney.